EXp World Holdings, the parent company of the publicly traded, cloud-based real estate brokerage eXp Realty, on Monday announced the addition of Amherst Ave Capital Chief Executive and Chief Investment Officer Dan Cahir to its Board of Directors. The eight-person Board of Directors now includes former Keller Williams team leader Gene Frederick, eXp Executive Vice President Jason Gesing, Solaris Resort & Estates Ultra Luxury Private Islands co-founder Darren Jacklin, global financial services leader Randall Miles, sustainable growth expert Rick Miller, real estate and marketing expert Suzy Truax, and eXp founder and CEO Glenn Sanford. “We’re honored that Dan has joined eXp World Holdings board of directors,” Sanford said in a prepared statement. “Dan has a unique mix of substantial financial experience and technology expertise as well as alignment with our core values that will be immensely valuable to our Board and eXp World Holdings’ long-term success,” he added. 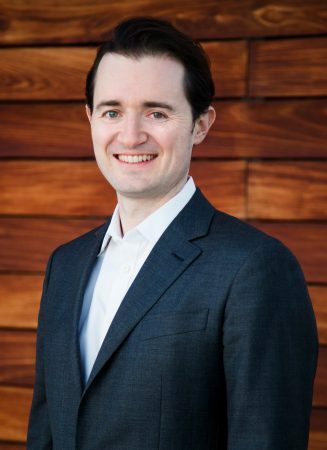 Cahir, who holds a Bachelor of Arts in Economics from Claremont McKenna College and a Master of Business Administration from the Harvard Business School, has more than a decade of experience in managing public and private equity investments. Before taking the helm at Amherst Ave Capital, a private wealth management advisory firm that serves ultra-high-net-worth investors, Cahir was the portfolio manager at Long Light Capital, a member of the investment teams at Ziff Brothers Investments and Madrone Capital Partners, and a merger and acquisition, growth and efficiency adviser for Fortune 500 and private equity clients at Bain & Co.
“I have long been inspired by eXp’s mission to build a global community designed and powered by agents to transform the real estate experience, and I am excited to join the Board of Directors,” said Cahir in a statement. The announcement comes on the heels of a stellar Q3 2018 earnings in November, where the virtual brokerage reported a revenue of $157.2 million and a gross profit of $11.5 million — a 232 percent and a 157 percent year-over-year increase, respectively. The agent and broker count reached an all-time high of 13,859 and productivity increased 240 percent year-over-year to a transaction volume of $6.2 billion. Correction: This article originally incorrectly identified eXp World Holdings as private, when in fact it is publicly traded. We have since updated the reference and regret the error.